PATH OF THE IMMORTAL. ArtistBLACK EARTH. 3~5 MINI LP CD. But rarely unexpected stuff. Our specialized fields are in rare Japan. hard to find records and new Japan cds. Number of Discs The picture is for illustrative purposes only. item 4 BLACK EARTH Path Of The Immortal JAPAN CD Arch Enemy Sweden Death/Heavy Metal ! 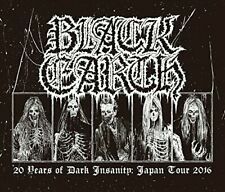 -BLACK EARTH Path Of The Immortal JAPAN CD Arch Enemy Sweden Death/Heavy Metal !